My latest idea is Citymail. 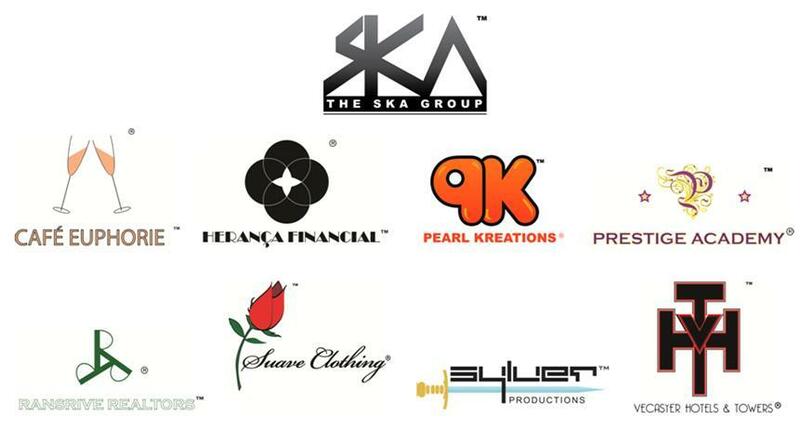 It’s a part of the Sylver Production family of innovations. It is an in-city specialty courier service that will have city divisions/franchises in different cities. The purpose is to provide quality same day courier service to individuals, students and small & medium scale businesses. The business model is unique is that it provides the clients with the option for mail/parcel receipt and delivery on the same day, as well as re-routing options and storage services that can be found nowhere else in the country. The goal is to have Citymail provide unique niche business solutions designed for small and medium scale businesses; as well as personalized services designed for individuals with the best and most cost efficient options. When Small and Medium Enterprises (SMEs) send priority mail and parcels within a city, it can be unnecessarily pricey and sometimes unreliable. Same day deliveries to other businesses and clients from within an hour up to before 4:00pm on the same business day. Deliveries are also between noon and 3:00pm on weekends. The cut off time for this service is 1:00pm. You can also be notified (optional) when it is dropped off at our facility, picked up from your office and delivered to the recipient. Ordering new inventory and need a facility to have it delivered and temporarily stored while you make arrangements or improvements? We can receive and store your inventory weighing up to fifty kilos (50kg) for up to sixty (60) days until your storage is ready or upgrade is completed. You can also be notified (optional) when it arrives. Vacations are meant for relaxing, but you won’t be when you are suddenly reminded of important mail(s)/parcel(s) en route to you and you are away. You might even have to cancel when you realize they will be delivered while you will be away. Now, you don’t have to bother, cancel or cut your vacation short. We can receive and hold your mail and/or parcels for up to sixty (60) days. You can also be notified (optional) when it arrives. Goods ordered online and need a place to have it delivered by courier or post? You can select our facility as the primary or alternate place of delivery. In doing so, you will have the option of having it delivered to you at your convenience or come pick it up at a more convenient date and time. You can also be notified (optional) when it arrives. As a student or young adult, moving your stuff into your school dorm/residence or new apartment can be exciting, but hectic, especially when you just got your first place. Sometimes, it is so exciting or hectic that you and your parents/guardians forget to have your mail rerouted to your new address. No problem, we can hold, receive and/or reroute your mail to your present address for up to sixty (60) days until you are settled in. You can also be notified (optional) every time something arrives for you. It’s a little capital-intensive as it will need modes of transportation, but my partner and I are starting small and looking to partner with others of like-minds interested in bringing the idea to their cities. It is important to talk to us first because we’ll have to sue you if you start anything remotely similar, seriously -_-. By God’s grace, since graduating last month, my brain has been bubbling with ideas (brain children) for Sylver Productions, and I have been working my behind off trying to keep up – following the dreams with action! One of such ideas is CollegeTix which I conceived as a practically free platform to assist student groups and student promoters sell tickets for their events and shows conveniently – online! It is going to be one of the services offered by Sylver Productions LLC. I’m happy to announce that with the addition of CollegeTix, the think tank firm is finally going to be fully operational! In case this is your first time hearing about the Sylver Productions, it was first introduced in August, 2010 in think tank. CollegeTix™: It is an online event hosting and e-ticketing service. It is being built into the premier online promotion and ticket sales platform exclusively for college and university events and programs. Here is a short clip introducing the service. Datlik™: It is a proofreading service in which our skilled proofreaders check and review electronic documents for grammatical errors, mistakes in punctuation, spelling errors and typos. Any errors are found in either wordage, tenses, punctuation or spelling will be corrected. Some copy-editing issues such as inconsistency may be also be reviewed and corrected. Another brainchild for Sylver Productions is CityMail, a specialty courier service. For this venture, I will be partnering strategically with Ayo B*. It is still in the developmental stages so I can’t say much about it. I will though, at the right time. This summer, I’ll be working with Cotta Red Creative Studio to create an interactive website which will make event registration, event hosting, online ticket purchasing and document uploads for filing, printing, proofreading and publishing painless. The new site will be launched in September. Handing the the branding and web functionality is Jae Olaf of Cotta Red – I profiled her under inspitories x. Apart from starting new things, I’m also finishing things I started, but got distracted from. 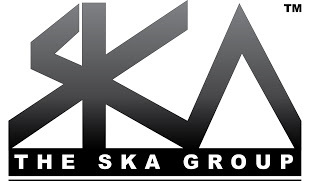 For one, I’m finally going to complete the new website for The SKA Group. The former ‘under construction’ site has been changed to a rough, blueprint which can be viewed at via this link. I’m also re-branding Pearl Kreations yet again – logo and website. Cotta Red Creative Studio is also handling those projects. The Pearl Kreations, Sylver Productions and The SKA Group projects should all be completed in September, by God’s grace. Categories: business, stories Tags: Ayobami Balogun, CityMail, CollegeTix, Cotta Red Creative Studio, Datlik, Jeti Olafimihan, Pearl Kreations, Sylver Productions, The SKA Group Inc.